The front arm posts have a slightly backward bend that mirrors the backward curve of the back. These features combined with the subtly arched lower rungs convey a sense of lightness. The seat is a replacement, but it tastefully done. It is not unusual that the original would be gone. This particular chair furnished one of the "old inns" the Pantlind Hotel. 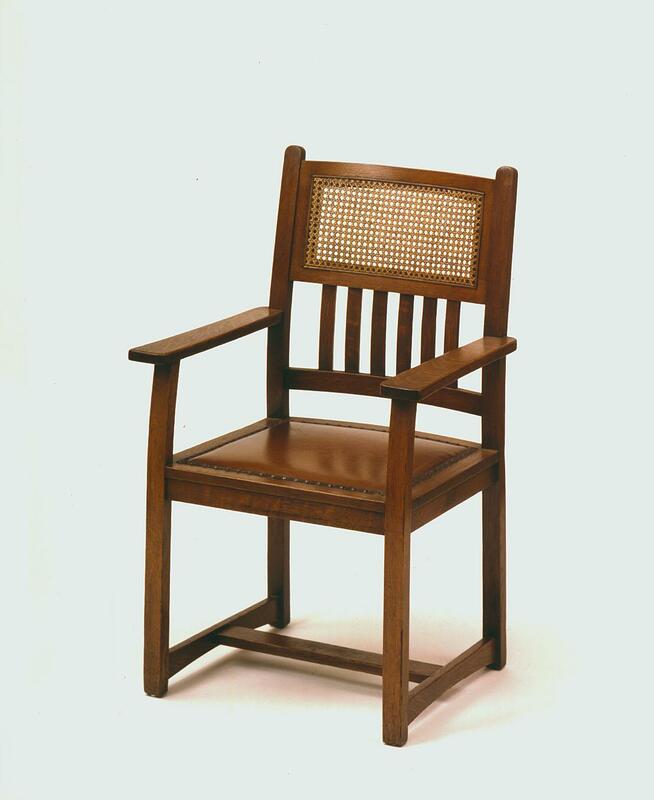 The chair is in the furniture collection of the Grand Rapids Public Museum. Measurements: 40" high, 25" wide (across from arm to arm), 21" deep.